When you come to Durham Veterinary Clinic, we will care for your pet like the cherished family member that it is. Operating as a small animal (i.e., dogs and cats) clinic since 1982, the team at Durham Veterinary Clinic takes the health of your pets seriously. Living in a small town and offering a cozy, small-town feel, we know how important it is for both you and your pet to be treated like part of our family. With us, you know that we will always do our best to give the highest level of care possible. We offer emergency pet services for when you feel that your pet needs urgent care. For more information about our services, feel free to browse our website. If you still have some questions, we invite you to please contact us. We’ll do our best to guide you to the right answer for both you and your pet. As you learn more about us, you’ll find that we are sincere about offering a caring and inviting environment for all pets. 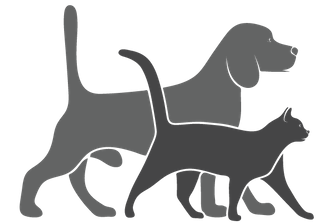 We can provide you with professional advice on nutritional counselling, vaccinations, medications, and more for your pet. If you don’t have the time to take an initial look at our space in person, we can give you an online tour of the clinic instead!